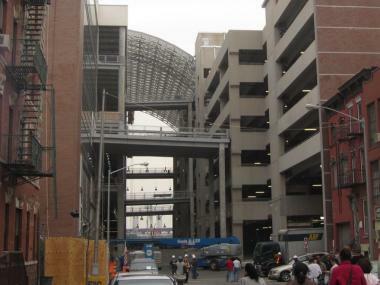 Crews worked to finish construction on the East River Plaza in time for Costco's grand opening Nov. 12. EAST HARLEM — After 15 years and $500 million, East River Plaza opened Thursday, anchored by the first Manhattan outlet of big box wholesaler Costco. For local residents, like Karen Johnson, Costco will now become their neighborhod store. She lives six blocks away on Madison Avenue and 116th Street, and has eagerly awaited the store's opening. On Tuesday, she stopped by Costco's membership office and emerged with a brand new "executive membership." "It's going to make a big difference because it's close and I can walk," she said. "I normally shop at smaller supermarkets. Now that I'm checking this out, no more small supermarkets." 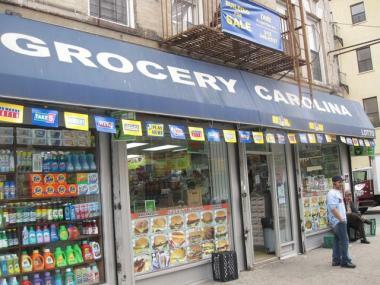 Muhammad Ali, 29, manager of the Grocery Carolina purchased a business membership for the store and a personal executive membership for himself. Other large chain retailers, such as Target, Best Buy and Marshall's, will follow Costco at East River Plaza this spring. Getting the shopping center built was a long process. Blumenfeld Development Group bought the property in 1994 in partnership with Canyon Capital Realty Advisors of California for $3.1 million. The City Council approved the project five years later and Canyon Capital sold their stake to Forest City Ratner in 2004. Over the years, the construction was stalled by businesses and property owners who refused to leave. 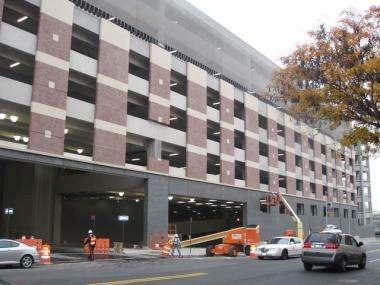 Construction was delayed further by a subsequent dispute over how a 1,248-car garage at the site would be paid for. Planners and the city eventually settled on charging customers $4 for two hours and $13 for three hours of parking. Costco worked with the community board and local non-profit, Strive, to ensure members of the East Harlem community would fill some of the estimated 1,200 jobs at East River Plaza. Costco also will allow members to use food stamps at the store. Up to 2,000 members are expected to register with the new store, said Joanne Hilarie, Costco membership manager. So far, Hilarie and her team have enlisted 400 members, she said. Although many residents have awaited the opening, others have been wary about yet another change in their neighborhood. "I can't say I begrudge the economic development," said Frances Mastrota, an assistant treasurer at Community Board 11 and a 50-year resident of 118th Street and Pleasant Avenue, "but I hope the community survives." The Grocery Carolina sits on Pleasant Street in front of the Costco but manager Muhammad Ali (standing) said rather than take away business, the store will bring foot traffic through the area. Across the street from the last-minute construction bustle of new Costco at East River Plaza on Tuesday, the Grocery Carolina had a rush of hungry high school students from Manhattan Center for Science and Mathematics. Muhammad Ali, 29, filled their deli orders, and said he wasn't worried he'd lose customers to Costco. 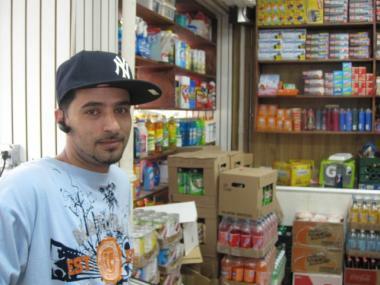 "We're a neighborhood store," Ali said. "I think it's good they're opening up. It's going to bring a lot of people to the neighborhood and we're going to get a piece of it, too." Costco construction plans were on hold until developers and the city agreed to have shoppers pay $4 for two hours of parking at the East River Plaza mall.